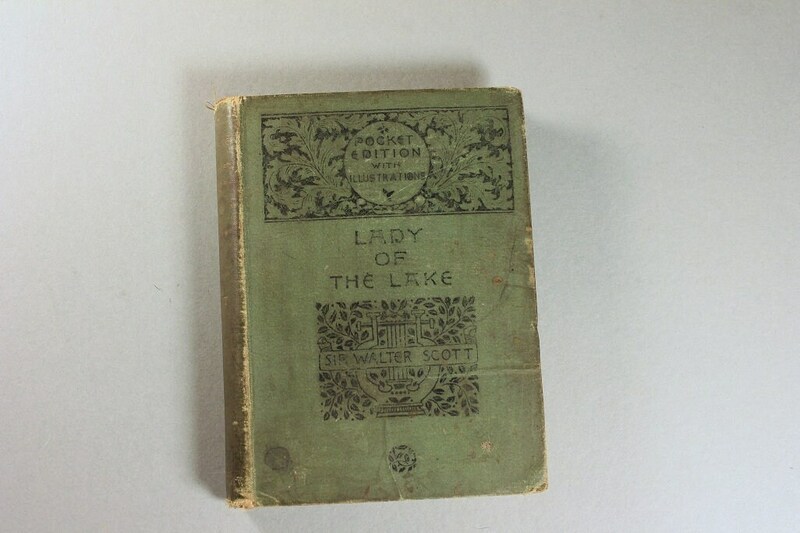 A wonderful antiquarian (antique) hardcover book -- Lady of the Lake. 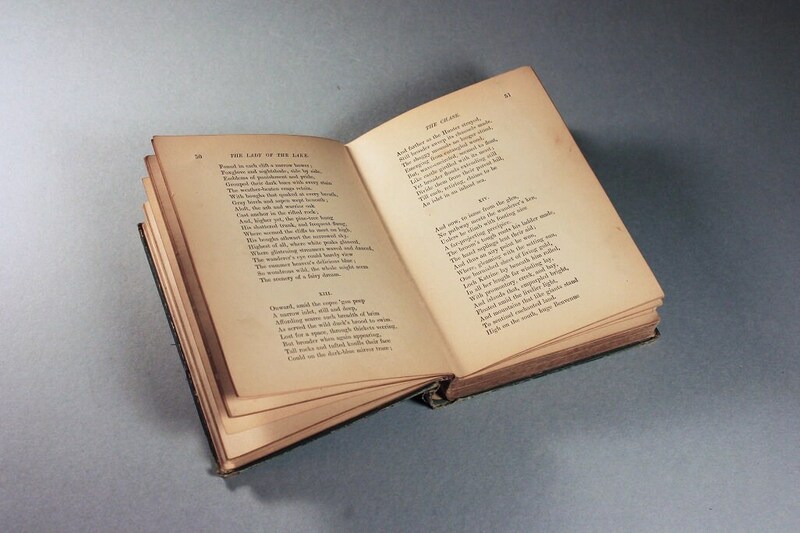 The author is Sir Walter Scott. 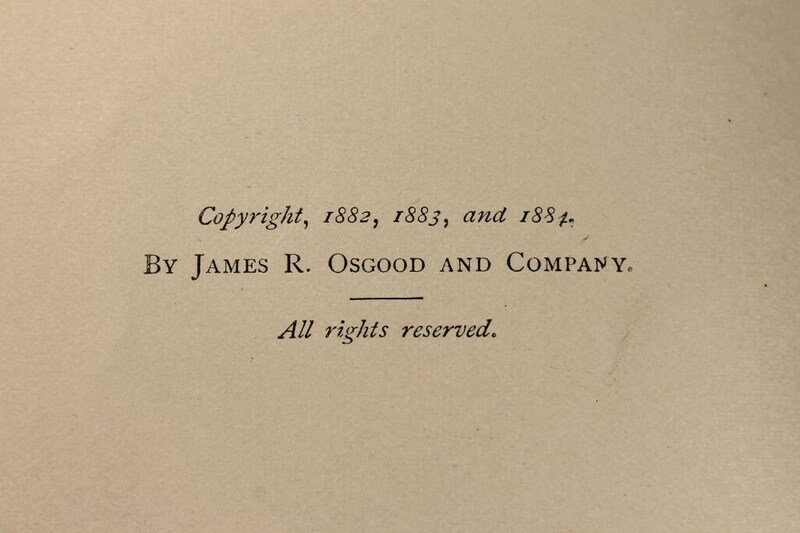 Printed in 1884. 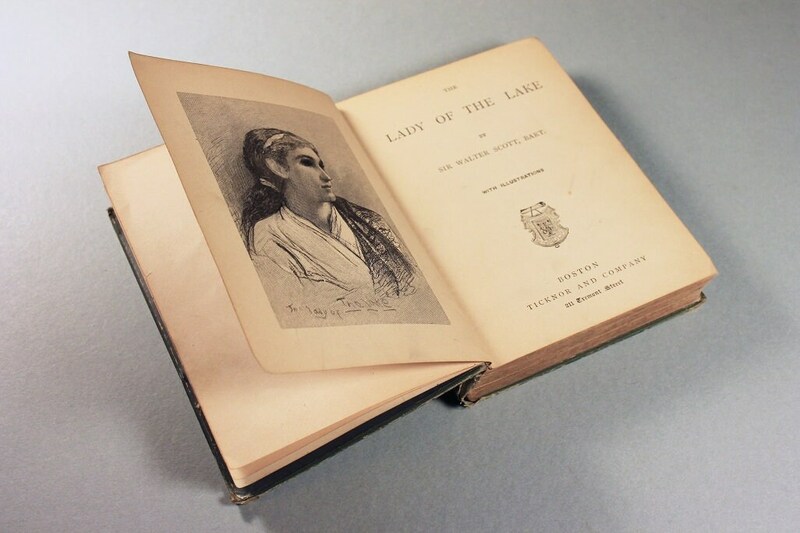 The Lady of the Lake is a narrative poem by Sir Walter Scott, first published in 1810. 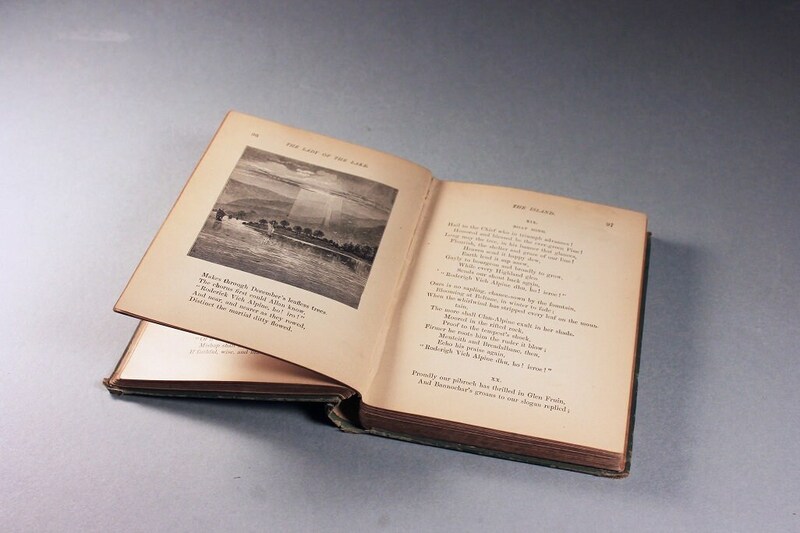 Set in the Trossachs region of Scotland, it is composed of six cantos, each of which concerns the action of a single day. Sir Walter Scott, 1st Baronet FRSE (1771 – 1832) was a Scottish historical novelist, playwright, poet, and historian. 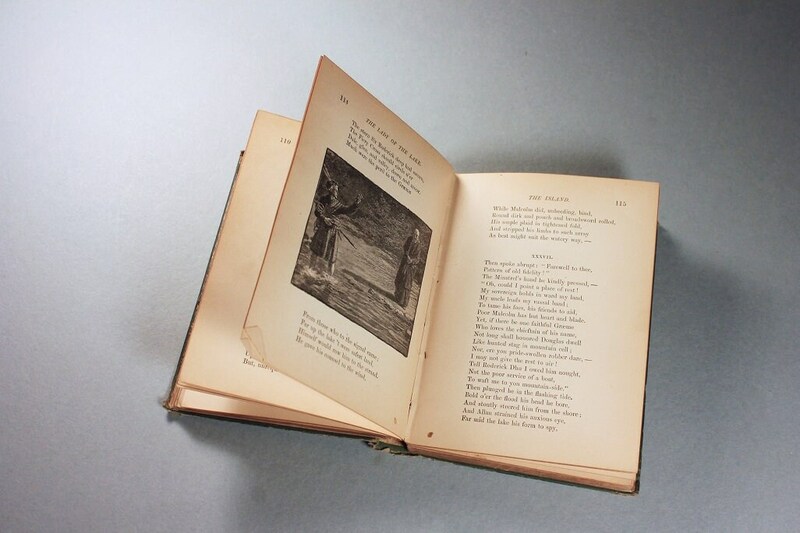 Many of his works remain classics of both English-language literature and of Scottish literature. Famous titles include Ivanhoe, Rob Roy, Old Mortality, The Lady of the Lake, Waverley, The Heart of Midlothian and The Bride of Lammermoor. A really great part of this book is that there is an inscription on the front flyleaf with a previous owners name and Xmas 1891. 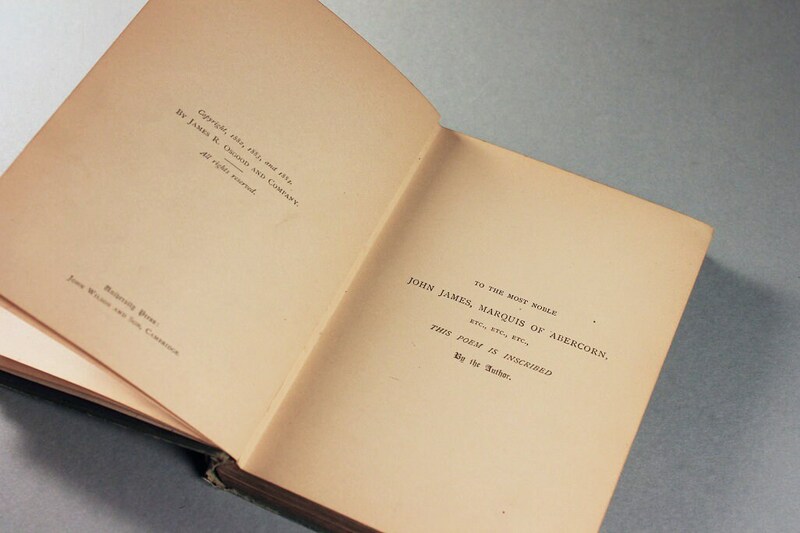 This book is in good condition. 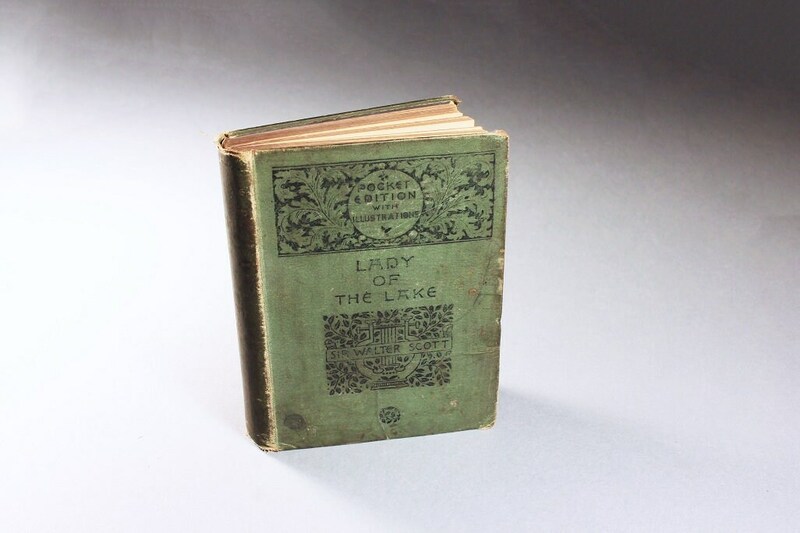 There is wear on the binding, edges, covers and the pages are yellowed but this is to be expected considering the age of the book, (134 years old). There is writing on the inside cover of the book (name of previous owner). The front and back covers are stained and there is writing on the back cover. The binding is bit loose but sturdy. This is definitely a book that has been around and read a lot.